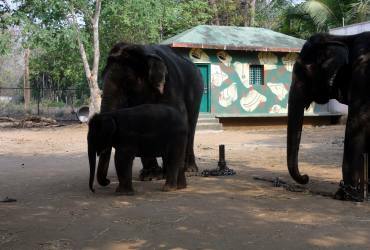 The Sakrebailu Elephant Camp is a forest camp for captive elephants in Karnataka. 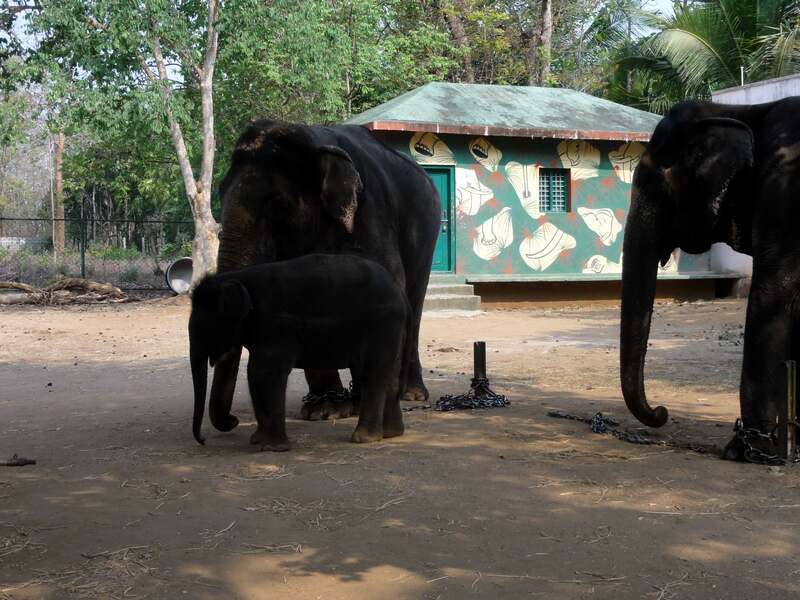 Situated at a distance of 14 km from Shimoga on the Shimoga-Thirthahalli Road, it is considered to be the best camp for training elephants in the state. The camp is maintained by the Karnataka Forest Department. The camp is situated in the vicinity of River Tunga. 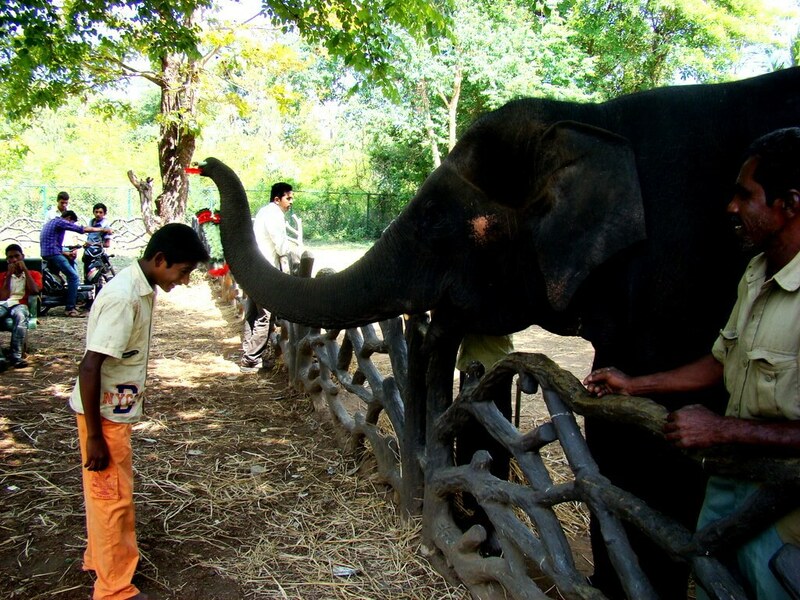 The main attraction of the camp is the interaction session allowed between the visitors and the elephants. Unlike other elephant camps of the state, this camp allows visitors to interact with the tuskers from a close distance. Such a session can last for up to 2 to 3 hours. 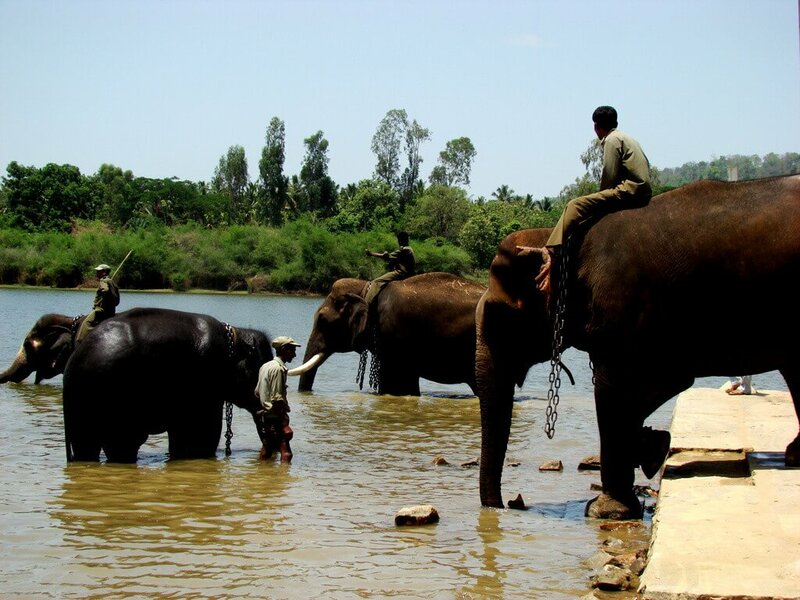 Visitors have to reach the camp early in the morning to be able to watch the elephants being bathed in the water of the Tunga River by the mahouts. They can also watch the big animals enjoying their drink and then proceeding towards their feeding area. The place holds special attraction for kids as they get to see the large creatures enjoying by themselves in the water. By Air: The nearest airport to reach Shimoga is located in Mangalore that lies at a distance of about 165 km. Private vehicles are available to reach the camp from the airport. By Rail: The nearest railway station is located in Shimoga. Visitors can take trains from major cities of Karnataka to reach Shimoga. 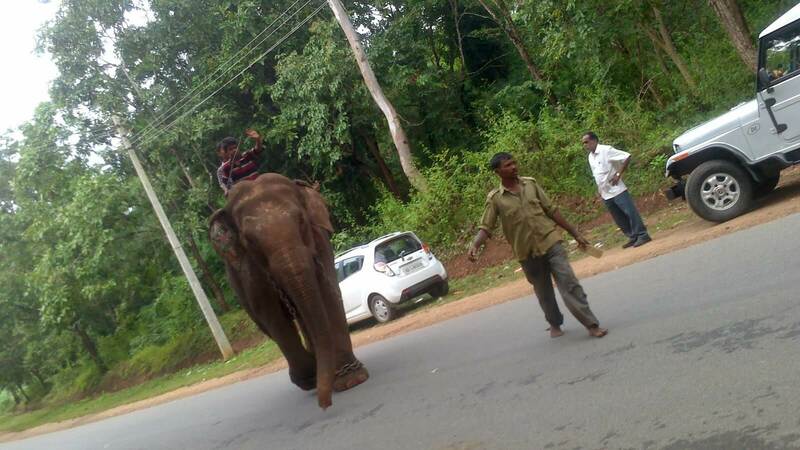 Taxis and local buses are available from the railway station to reach the elephant camp. By Road: Several buses connect Shimoga to various parts of Karnataka. From Shimoga visitors can easily take a local bus or taxi to reach the camp. Private vehicles can also be hired by visitors to reach the camp from nearby cities and towns.